The African American Cultural Center of Camden presents an exhibit on Camden's native son, Lawrence Eugene Doby, on February 24 - August 30, 2018. Doby, the first African American to play in the American League, was a seven-time All Star. 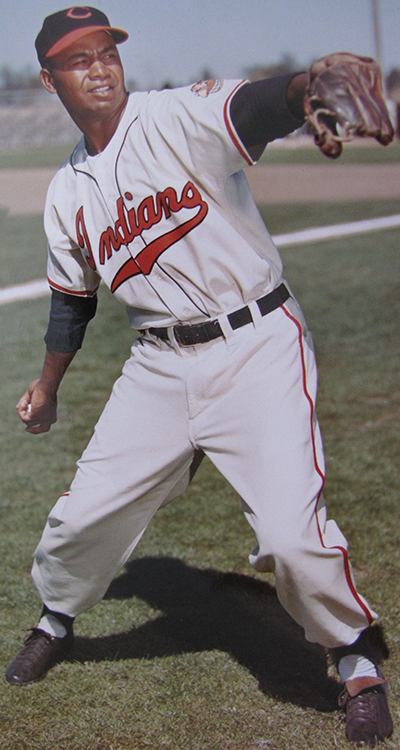 He played with the Cleveland Indians from 1947-1955, with the Chicago White Sox in 56-57, and the Detroit Tigers in 1959. Larry Doby's career was marked with dignity, decency, and quiet courage in the face of racial prejudice. This exhibit explores Doby's life and times and his impact on the sport of baseball.